When leasing commercial real estate space of any type, there are many ways for landlords to hide extra costs from tenants that tenants are usually not aware of. Two of the most common ways to hide such costs are related to the tenant’s share of operating expenses (or NNN or CAM) and measuring the building. Retail tenants in particular have to be extra careful here as they have high exposure related to NNN expenses because they pay a direct share of NNN expenses and not just increases over a base year such as is common in office and many industrial leases. If tenants aren’t careful to use a broker that understands the operating expense share, this cost to the tenant can be quite large during the lease term. Many times this costs starts out low and then later on in the lease gets quite high. It is best, in my opinion, to negotiate an overall annual cap and also have a list of expense exclusions that aren’t reasonable for a landlord to include as part of the tenant’s share. An example of unreasonable tenant expenses would be for earthquake insurance. Earthquake insurance usually has a deductible of 20% of the entire property value and is an expensive type of insurance to begin with. It would be a shock for a tenant to receive a bill for their share of a deductible that reaches into the millions, but this is exactly what happens in the real world after an earthquake hits. There are many more expenses like this that should not reasonably be part of the tenant’s share. Some more common examples include: Common area ADA upgrades, capital expense replacements and renovations, insurance deductibles in excess of $20,000 for any particular policy, including new expenses in future years that weren’t part of the original base year (for office leases) , and adding costs that aren’t really necessary like artwork, etc. Measuring the building is another area where landlords can pad the numbers that will result in a higher rent to the tenant without a tenant even knowing it’s happening and this happens most commonly in office buildings. Landlords can and usually do include the tenant’s share of the common areas as part of the tenant’s rent. This is called a common area load factor and increases the actual or usable square footage of the premises (and therefore the rent) leased by anywhere from 5-20% and sometimes more. Some of the common areas are legit and some aren’t. I recently found one industrial landlord adding 5% to their usable square footage numbers just because they had an exterior overhang on the building even though it was not enclosed space. Another office landlord blended two methods of measuring a building and used the average overall load of the building for the first and second floors but the actual load of the building for the third floor because the load numbers were higher this way. When I discovered each landlord doing these things they both reduced their numbers so my client was able to save rent in the percentage that the load was reduced. This makes sense because a tenant pays rent on the usable square footage plus the common area load (called “rentable square feet). So, if the load gets reduced –so does a tenant’s rent. Do any of you have stories like this to tell of landlords padding their numbers? Unsure of whether or not something you’ve experienced falls into this territory? Comment and share your stories below! Are you concerned that you might be unaware of some of the same things happening to you? When was the last time you measured your leased space before signing or even renewing your lease to make sure that the square footage is correct? You probably never have. The landlord usually tells you what the square footage is and you accept it without taking this important step as obvious as it seems. You should always measure the usable square footage of your leased space before you sign or renew your lease. Measuring the common areas of a building is not usually practical though as it’s more expensive, complicated and time consuming to do this. As a tenant leasing space, you usually pay on rentable square footage (RSF) but only actually use what is inside your space. This inside space is called usable square footage (USF). The RSF usually contains something called a load for the common areas. This load is your share of the common areas such as restrooms, corridors, stairways, etc. Most loads in office buildings are between 15-20% of the USF and if they exceed this number the building can start to become pretty inefficient. Retail and industrial users should not have a load at all or a small one at best unless for some reason they have substantial common areas which aren’t the norm for these types of buildings. I can’t tell you how many times I have found that the landlord has unreasonably padded the square footage number especially for the tenant’s share of the common areas. Items like roof overhangs, penthouses, elevator shafts, etc. have been included. Once I discover the padded numbers, I am able to get a reduction from the landlord on either the square footage and/or rent. Buildings are valued on square footage so the more square footage the higher the rent and the higher the value of the building. This means that the landlords usually want to maximize the square footage anytime they can. BOMA 2010 is the current architectural standard for measuring buildings that landlords like to use but it contains optional items that can be added to the common areas like roof overhangs that many times should not reasonably be added. It is not always easy to figure out how a landlord has cheated or creatively measured their building and your space. Landlords usually hate to disclose this information. But you should always push the landlord for full disclosure on this issue and require them to send you their measurement calculations. Even then, you need to have someone with experience in this matter review this information to verify that it has been done correctly. Hiring a broker with experience in measuring buildings can help. It always pays to have your own broker represent you; especially one that is knowledgeable in this area and in other areas related to landlord profit centers that most brokers aren’t aware of or simply don’t have experience with like operating expense reconciliations and invoices. Hiring the right broker and taking the time to figure out whether your square footage is correct or not will usually be worth it and you will save money. Alexandria Martinez on Who Pays Your Commercial Real Estate Broker and How Much? Mike McWilliams on Property Tax Increases Caused by a Sale: Should Commercial Tenants Have to Pay? 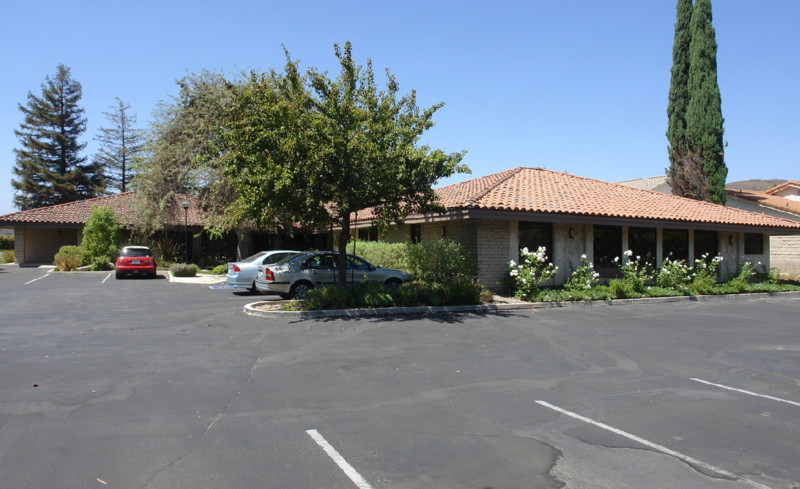 Offices in Woodland Hills, Westlake Village and Oxnard, California.